September 10, 2018 PUBG has failed to reach 1 million concurrent players for the first time since its absurd rise last year. It seems like just yesterday we were marveling at PUBG hitting a peak of over 1 million concurrent players every day for a full year. And, er, that’s because it was just yesterday. But now that streak is over, precisely one leap year after it began. Yes, PUBG’s million player streak has ended after 366 days, as the most recent 24-hour period only reached a peak of 960,263. You should read “only” with some heavy sneer quotes, though, as that’s still a number only one other Steam game in history has ever hit – Valve’s own mega-popular Dota 2. 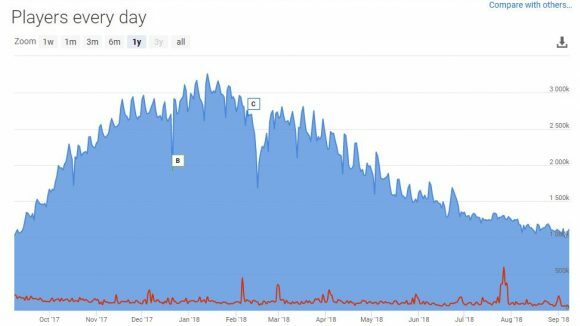 SteamDB tracks daily players on Steam apps, and PUBG reached 24-hour peaks of more than a million players for a full year over the weekend. The all-time high came January 13, when the 24-hour peak was 3.2 million players. Numbers have tapered off since then, but PUBG remains among Steam’s most-played titles. Of course, SteamDB only tracks Steam games, so there’s no way to quickly compare PUBG against its biggest rival, Fortnite, which runs through Epic’s own launcher. Fortnite notwithstanding, it’s not hard to understand PUBG’s lasting appeal. We’ve included the battle royale shooter on our list of the best PC games of 2017, the best survival games on PC, and the best PC games overall. 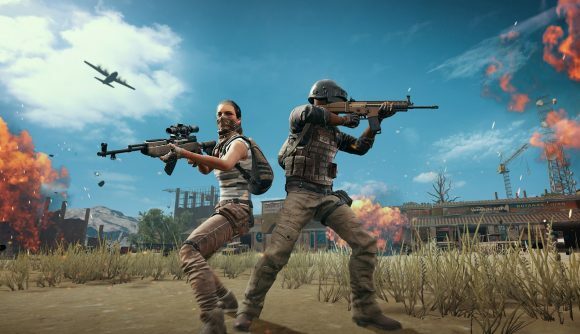 PUBG has spun out from original publisher BlueHole into its own company, the PUBG Corp, and the game is positioning itself for a move into professional esports. New maps and game modes have arrived over the course of the game’s life, and even though the rollout of some new features has been occasionally rocky, players have stuck with it. Here’s the SteamDB chart mapping PUBG’s peak concurrent players over the last year. While it wasn’t technically the first battle royale game, PlayerUnknown’s Battlegrounds probably deserves credit for sparking the craze – for better or for worse.